Read below for answers to our callers’ most frequently asked questions. Can you clean my home one time or do I have to sign a contract? Our services are available without requiring you to sign a contract. We want you to be happy with our services and choose to continue using us because we do a good job. Most of our customers use our cleaning services on a regular weekly or biweekly cleaning schedule. Some use us monthly or just on special occasions. You decide. How many people will be in my home or office during each cleaning? 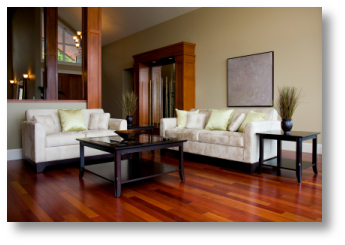 We usually clean homes and offices in teams of three which includes a crew leader and two team members. On some occasions in order to properly schedule all jobs during a day, we may use teams of two or four. If you have a very large job, we can schedule multiple cleaning teams to come to your home. When you have us clean on a recurring basis, we also try to ensure you get the same crew each time. If you choose to change cleaning times or services or a team member is not working, we may need to change team members who come to your home. We offer our cleaning services from 8AM to 4PM each weekday for residential customers. For added convenience, we offer Saturday cleanings for commercial customers. We ask that you allow as large a window for arrival as possible each cleaning. We do our best to provide arrival windows between 8AM to NOON or NOON to 4PM upon request, but cannot guarantee it. Driving routes can differ quite a bit from day to day based on the location of each job. As Austin gets more crowded it is not efficient for us to provide a fixed time every single cleaning. We hope you understand. Do I need to be home when you clean my house? No. You may choose to give us a key or to leave it in another safe place. Security alarms can either be left off or you can give us entry and exit codes. We store all keys in a locked safe that is only accessible by the owner and office manager. Only the team that cleans your home will be given access to your home. If you choose not to provide a key, and we are unable to gain entry into your home, you may incur a lockout fee. Are your workers insured and bonded and do you pay employment taxes? Yes. We insure our workers through workers compensation coverage in case of a work related injury. We also take care of social security taxes so you don’t have to worry. We carry liability insurance and are bonded, and our coverage extends to your home. Are your cleaning service employees eligible to work in the US? We comply with governmental regulations and follow procedures to verify that employees are authorized to work in the United States. We require all employees of Austin All Maids to fill out all required employment eligibility verification forms, and provide necessary employment eligibility documentation before starting work. Payment is due at time of service. We accept cash, personal checks or credit cards. If you choose to pay using cash or by check please leave payment on the kitchen counter top. If you prefer to pay by credit card, our office will take care of the payment process. Does it cost more for the first visit or occasional visits? Our cleaning fee is the same standard rate based on time regardless of how often we come to your home. A first-time or occasional cleaning will usually take longer than a regularly scheduled recurring cleaning and if so, the cleaning fee would be greater. Generally, the more often we clean you space the quicker we can clean and the lower the cost will be per clean. Please inform us of a special request at least 24 hours ahead of your scheduled cleaning time so we can properly schedule the job. This way we can more accurately estimate our arrival and cleaning times and won’t keep you waiting. Yes, we do. We commit working hours to our cleaning staff and must pay them if they are scheduled to clean your home – even if you cancel. If we have enough notice we can reschedule your time slot. We currently charge a $35.00 cancellation fee for any changes later than 12pm the preceding business day to partially pay for the expense incurred. 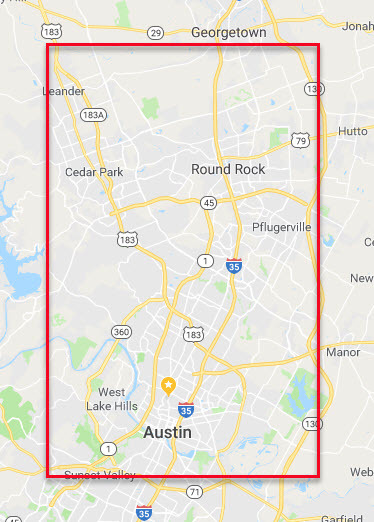 We service the greater Austin area…from Leander to Manor, Onion Creek to Lakeway. What if an accident happens in my home? While we do our best to be careful, accidents occur occasionally. If something in your home should break while we’re cleaning, a courtesy card will be left behind. Occasionally, things break due to normal wear and tear or because items such as hanging pictures, ceiling fans, or shelves may have been improperly installed. Please call the office within 2 business days and we will work together to resolve the problem. Be safe with fragile or sentimental items and store them away on cleaning day, or call us and tell us about areas we should bypass while dusting. We want to keep you happy and think this will help. Thank you for considering Austin All Maids in taking care of your cleaning needs. We look forward to helping you relax and giving you more time to do what you enjoy. Call us now at 512-490-6633 to schedule your cleaning or with any questions you may have.